Macs are generally good at honouring power saving controls, but occasionally your Mac will either not sleep automatically or wake for no apparent reason. pid 194: [0x000000c2012c0368] PreventUserIdleSystemSleep named: "com.apple.audio. 'AppleHDAEngineOutput:1B,0,1,2:0'.noidlesleep"
/usr/bin/syslog | grep -i "Wake reason"
This will return a number syslog entries which give a clue as to the reason for the wake. Jul 29 08:54:13 mac kernel <Debug>: Wake reason: ? If there is nothing obvious in the system log then you can try finding the culprit through a process of elimination. Try each of these settings in turn and see if that makes a difference. 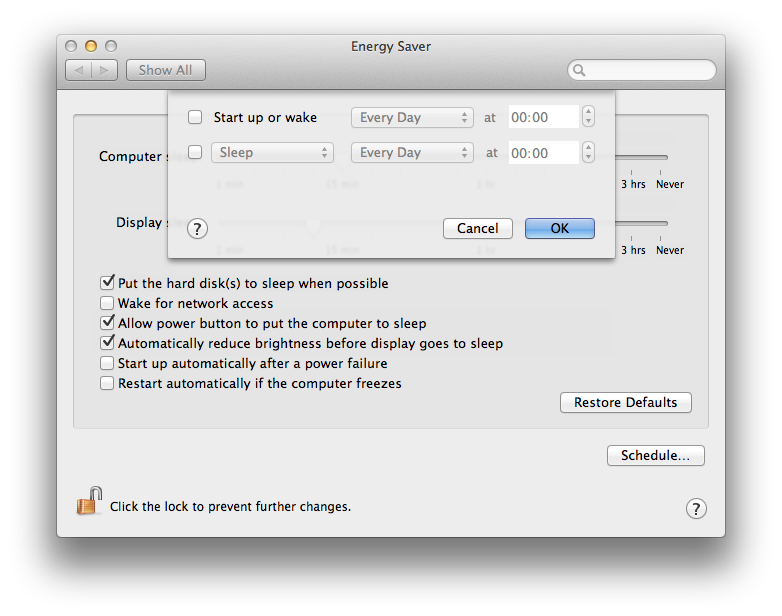 The first setting to check is in the Energy Saver settings in System Preferences. Check that ‘Wake for network access’ is not checked. This prevents Wake-on-LAN ‘magic’ packets from waking your machine. Next click on ‘Schedule’ (bottom right) and make sure there isn’t an automatic wake schedule set. 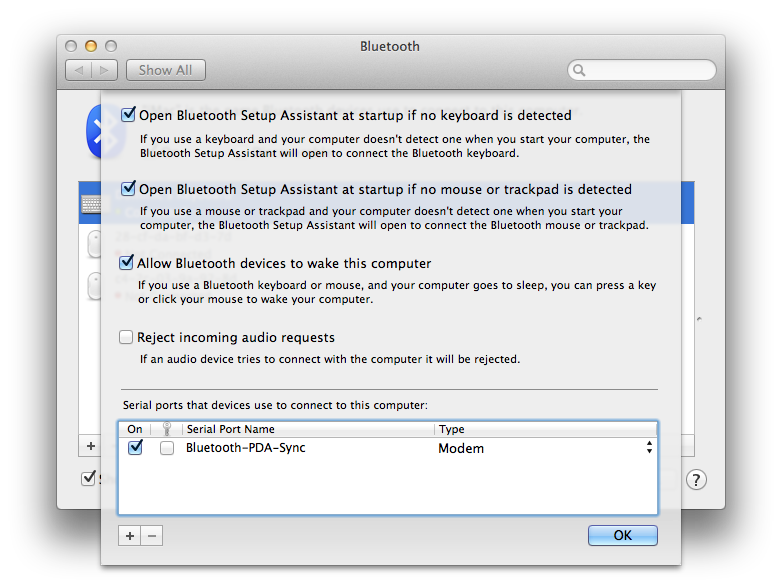 Finally if you use Bluetooth connected peripherals go into System Preferences > Bluetooth > Advanced and uncheck ‘Allow Bluetooth devices to wake this computer’. Some applications are also known to be incompatible with Mac OS X’s sleep routines. Good luck and happy Mac napping.